Scaling a profitable business doesn’t have to be difficult! If you want to grow your business, it all boils down to business growth systems and strategies that position your business for profit and scale. 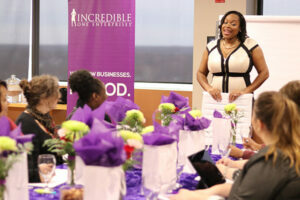 It’s with that in mind that I’d like to introduce you to the Incredible Factor Business Growth Weekend. 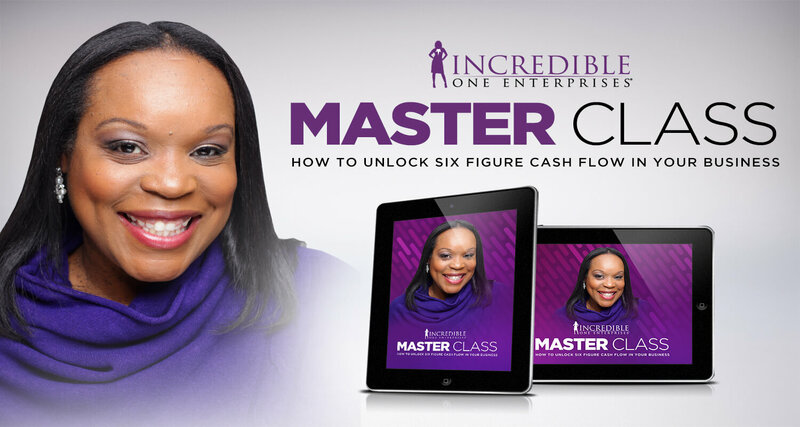 The Incredible Factor Business Growth Weekend (BGW) is your opportunity to experience a VIP Weekend Experience with award-winning business growth strategist Darnyelle Jervey Harmon, MBA in a small group of your peers. 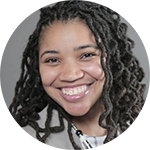 HOW IT WORKS: Over 3½ days, a max of four (4) attendees will get 4.5 hours of private consulting time with Darnyelle to work on their business. (You’ll also get an hour for your pre and post calls – 30 minutes each.) During the growth weekend, you’ll also receive breakfast each day, a welcome lunch and group activity, 2 working lunches, 3 group dinners and 2 group reflections sessions plus lots of organized time to mastermind with a member of Darnyelle’s coaching team and your fellow weekenders. You’ll also have time each day to rest, reflect, digest and discuss your growth plan with your peers and the IFU coaching team. Please note: each day can go long to ensure that all objectives for each day are met, keep that in mind. This is for business owners who want to fast track their success through customized consulting in a small, intense group of their peers and work directly with Darnyelle over three and a half full days. If you are stuck trying to figure out how to plug the holes in your business by yourself or with your team (those that are so close to the problem that they can’t see straight) it might be time to raise the white flag and engage a qualified consultant with proven results to help you build a strategy that will effectively advance your business. Our time together is based on your specific needs. There are no pre-fabricated presentations during the weekend. I will start by getting a clear understanding of your growth goals and what you offer. And I will help you craft the right strategic plan to make goal achievement possible as soon as possible. My job is to find the holes in your business and plug them so that you can get to multi 6 or seven figures quickly. Why do I need the Business Growth Weekend? You have goals to scale your company in the fastest, most lucrative and time freeing way but everything that you’ve tried up until now has kept scale off the horizon for you. I get that. We work very hard to help our clients get out of the way so that their growth goals become easily attainable in the quickest time possible. The truth is, you deserve a business that serves you in every possible way – financially and spiritually. The Growth Weekend will help you to bridge the gap between your goals and your reality on your own terms. Getting access to real education and customized growth strategy in an intense retreat setting is the best way to focus on what your business needs to grow. What will it take to move your business forward? A Clear Strategy. But, not just any strategy. A strategy that is customized to your business that can be easily implemented. If you are stuck trying to figure out how to create a business that will serve you it might be time to raise the white flag and engage a qualified consultant with proven results to help you build a strategy that will effectively advance your new business. 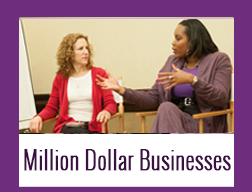 request a Discovery Session to speak with a Business Growth Advisor. 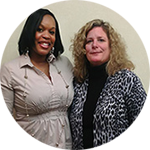 “What I love about working with Darnyelle is that she gives and gives strategies that WORK. In fact, before we even spent the day together simplifying my business, I had already made my investment back! One strategy during my pre-call, added $15,000 to my income BEFORE we spent the day together! And since then, I have added $150,000 from that one strategy. During our VIP Day, Darnyelle helped me to simplify my business model and increase my profits intensely. I’m working with a new confidence that I can grow my business substantially. I went home and started to apply her strategies and added an additional $15,000 and I’m set! I know exactly what to do and how to do it to yield serious results and income into my business. 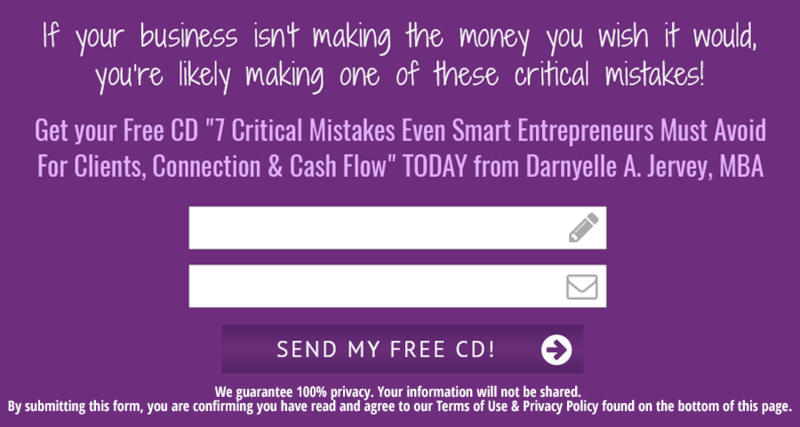 “Less than 24 hours after my VIP Day with Darnyelle, I sold my first $7,000 program using the very strategies she shared with me during our time together! Spending the time with Darnyelle mapping out my business strategy step by step was a true game changer for me. I am so equipped to build a six-figure business in the next few months and I know that having her as a part of my team as my mentor and coach is the key to ensuring that it happens quickly. Best investment I’ve ever made to grow my business hands down. 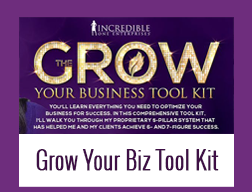 She truly is Incredible when it comes to understanding how to help you grow your business. Your Incredible Factor Assessment (Business Audit – 50 questions) – the purpose of this assessment is so that I can see who you are and what problems exist in your business. Trust me, after taking this assessment, you’ll already feel much more equipped to grow your business. Lodging and meals for the entire weekend. We will secure a beautiful home via Air BnB for all attendees to stay in. The home will have plenty of space to spread out, reflect, rest and reinvigorate your business. 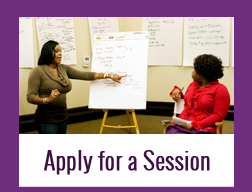 3½ days of strategy, implementation and insight in a small intense group of your peers. 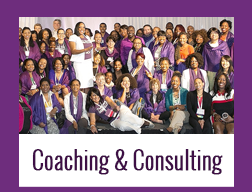 Each attendee will get private consulting time each day during the growth weekend. Each day will also include group reflection and mastermind time with Darnyelle and her coaching team. One (1) pre-weekend private strategy call with Darnyelle – prior to the weekend, we will have a check in call to clarify your intentions during our time together and I will also share the results of your assessments with you. One (1) post weekend private strategy call with Darnyelle – following our weekend experience at your designated choosing, we will have a private call to fine tune any strategies and respond to any questions you have to ensure you feel fully supported to move forward in your business. 90 days of email support. In the 90 days following our three days together, you can ask me and my team anything regarding the content we covered. We want to make sure you are fully covered and have the tools you need to implement the profit-producing blueprint that we mapped out together. 90 days of touch points. For the 90 days following your Growth Weekend, you’ll receive email and phone prompts to check in with the plan we created during our time together. These are designed to make sure all that we developed together is bringing your goals within reach. *Growth Weekends may be held anywhere in the US. 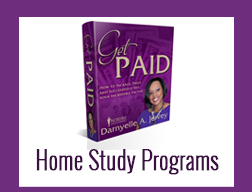 “In spending the day with Darnyelle, it really was amazing what she was able to do with my business. First, she helped me to create a strategy to achieve my business revenue goal. She also helped me to fine tune my message and create a marketing strategy that would work for me to grow my business. Will there by a bunch of other speakers and trainers? No, you’ll be working directly with Darnyelle and learning her proven systems and strategies around the Pillars of Business Optimization. This is an intensive, designed to ensure you walk away with key deliverables so that you can quickly accelerate the pace with which you grow your business on your own terms. Members of Darnyelle’s coaching team will be present during the weekend. What additional expenses are involved in attending?You’ll need to get to the Weekend location – air and ground transportation. Once you arrive, your lodging and meals are included in your investment. If I am just starting my business is this a good fit for me? If you are starting a new business for the very first time, in order to get value from the BGW you’ll have to know who you serve and how. If you’re in a place of discovery this is likely not the best investment for you. The BGW is a private consulting experience for those who are working on taking their existing business to the next level. We work through this program with businesses that already have products and services, clients and and other business basics already in place. 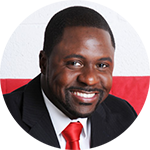 This weekend is all about expanding your business and positioning you for your next level of growth and development. If you’ve been in business before and are now at the point of reinvention or starting a new venture, you’ll enjoy the pace of this workshop. If you’re just starting out, unfortunately we are not the best place for you. How can I afford to invest in this if I’m not making money in my business? “If you want something you’ve never had, you must do something you’ve never done.” The only way you’ll successfully grow your business is by taking different actions. If the actions you’ve taken aren’t producing the results you want, you’ll like need training/education. If you want to grow your business, you’ll need to invest in education. To get what we want, we invest. We always have and we always will. Unfortunately, there is no way around investing. In business, you invest first and position yourself to yield a return on that investment. We offer a payment plan to help you to be able to invest in yourself to grow your business. I hope you don’t mind my candor: Trust me, I am all for getting out of your comfort zone to invest in yourself (I’ve done it too), but I don’t want to create a hardship for any entrepreneur. That said, you may choose to pay in 1 payment with additional savings or 2 payments. The full balance must be paid PRIOR to the growth weekend you would like to attend. Why do I have to apply to speak with you, if I am ready to invest? I love this question! Honestly, just because you can afford to invest in my program doesn’t mean that we should be working together. The reason we chat first is to make sure that we are the right fit and that I can help you achieve your goal. If not, I will tell you. Please know that I’m in business to make a difference and impact lives not just make quick money. Those who I chose to work with, I partner with them and their success is my success. While I can never guarantee that you’ll do your part, I can guarantee that I am going to do mine and give you all that you need while we work together. If I don’t think I can be that for you, I would much rather introduce you to someone else that I feel will be a better fit for you.